Barry Bhangoo - Telegraph Hill Program Initiatives Inc.
Mr. Bhangoo has had 25+ years of software development experience. He has successfully lead and managed software engineering teams. He is a serial Entrepreneur having founded, co-founded, mentored, funded and worked at several start-ups. Chief Architect and manager for the design, implementation, installation, support and management of a number of enterprise software solutions, custom-built, turnkey, distributed client/server, web-based, object oriented software projects. Strategic Planning, Entrepreneurial/Start-up Operations, Change Management, Recruiting and Development, Budgets and Forecasting, Employee Benefits, Risk Management, Pricing Strategies and other aspects of running a business. Extensive knowledge and experience in supply chain management and distribution networks. Worked with clients on evaluating and defining requirements, designing system solutions, developing solutions, setup and support of custom software solutions. Worked with multiple third parties as a Systems Integrator to combine different software packages and hardware into one solution. Proven track record for creating “real-world” solutions that have stood the test of time. 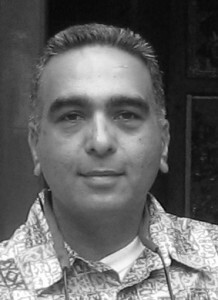 Mr. Bhangoo is a managing partner at Telegraph Hill Program Initiatives, Inc.